The CIES International Travel Award for Distinguished Service in Educational Reform was established through an endowment from George Soros and the Open Society Institute (OSI) and expanded under CIES President Ratna Ghosh to encourage distinguished researchers and practitioners from developing countries to participate in CIES conferences. Launched at the 2009 annual conference, the endowment attempts to facilitate the participation of international education experts who serve in countries where international projects are implemented. 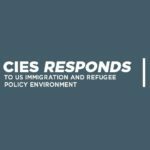 Several awards of $1,000 USD each will be awarded for travel to CIES 2017 in Atlanta. Conference participants from developing countries with at least five (5) years of professional experience in educational development are eligible to apply. 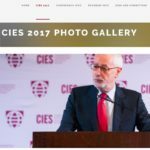 Applicants must have submitted their conference presentation abstract through the CIES 2017 proposal submission system; ITA Awardees will receive $1,000 USD provided that their proposal has been accepted. Some applicants may also wish to apply for the Under-represented Racial, Ethnic and Ability Groups (UREAG) Travel Award — but are reminded that they may only receive one CIES award for travel. The deadline to submit an International Travel Award application is December 1, 2016. ITA awardees will be notified by January 10, 2017 — and will be announced on the conference website as well as in the CIES Perspectives newsletter. 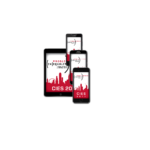 The UREAG Travel Grant is designed to recognize efforts of students and scholars from under-represented racial, ethnic, and ability groups who need support for travel to present the results of their scholarly research at the annual meeting of CIES. This travel grant is generously funded by CIES in support of the UREAG Standing Committee, with grants ranging from $250-$400 USD each. UREAG Travel Grants are awarded based on the quality of the application, institutional representation, and attention to diversity. Special consideration is given to applicants traveling from outside North America. Please note that successful applicants will receive their funds on-site at CIES 2017 in Atlanta, Georgia. During the conference, UREAG Travel Grant recipients will be required to attend the UREAG business meeting; exceptions will be granted only in the case that your own presentation is scheduled for the same time slot. UREAG Travel Grant recipients will also be required to submit a one-paragraph follow-up report on their participation in CIES 2017 by April 17, 2017. If you previously received a UREAG travel grant but did not submit your report, as required by the grant, then you are not eligible for another travel grant. Only CIES members in good standing are eligible (To join CIES or renew your membership, please click here.) The CIES-member applicant must also be a member of UREAG. Membership in UREAG is free. If you are not already a UREAG member, please download the 2017 UREAG Travel Grant Application, complete the attached membership form on the last page, and follow the instructions to submit the form. UREAG Travel Grant applications must be submitted by December 20, 2016. Notification of award recipients will take place no later than February 3, 2017. Click here to download the 2017 Application. This travel grant provided by the Globalization and Education SIG is designed to recognize efforts of emerging scholars who need support for conference attendance to present the results of their scholarly research. Preference will be given to Ph.D. students, though early career scholars (i.e., those who graduated in the past three years) are also eligible. It is expected that 1-3 awards will be given of at least $200 each. Final decisions regarding the quantity and size of the awards depend on the number, relevance, and quality of the applications received. Only CIES members in good standing are eligible (To join CIES or renew your membership, please click here.) 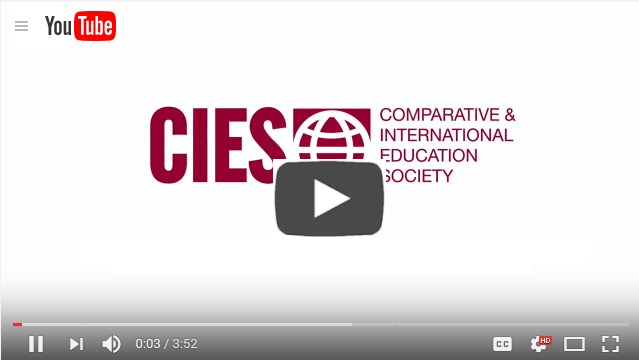 The CIES-member applicant must also be a member of the Globalization and Education SIG. If you are not already a member, please submit dues by updating your CIES membership via University of Chicago Press. The membership fee is US$10. Please note that successful applicants will receive their funds on-site at CIES 2017 in Atlanta, Georgia. During the conference, Emerging Scholar Travel Award recipients will be required to attend the Globalization and Education SIG business meeting. Emerging Scholar Travel Award recipients will also be required to submit a one-paragraph follow-up report on their participation in CIES 2017 by April 15, 2017. Globalization and Education SIG Emerging Scholar Travel Award applications must be submitted by December 4, 2016. Notification of award recipients will take place no later than January 15, 2017. The Economics and Finance of Education (EFE) SIG at the CIES invites applications for a Travel Grant Award in memory of Dr. Joseph Watras. In line with CIES’s mission of international participation, the EFE Travel Grant is designed to recognize efforts of an emerging young scholar who needs support for travel to the CIES conference to present the results of scholarly research. Our travel grants are specifically designated for emergent scholars (received Ph.D. in the last 5 years) to present and discuss their research at CIES 2017. EFE SIG members whose proposals were accepted for CIES 2017 are eligible to apply to the grant. Only CIES members in good standing are eligible (To join CIES or renew your membership, please click here.) The CIES-member applicant must also be a member of the Economics and Finance of Education (EFE) SIG. If you are not already a member, please submit dues by updating your CIES membership via University of Chicago Press. The membership fee is US$10. 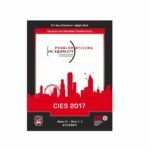 Please note that successful applicants will receive their funds on-site at CIES 2017 in Atlanta, Georgia. During the conference Joseph Watras Travel Grant recipients will be required to attend the EFE SIG business meeting. Joseph Watras Travel Grant recipients will also be required to submit a one-paragraph follow-up report on their participation in CIES 2017 by April 15, 2017. Applications for the EFE SIG Joseph Watras Travel Grant for Young Scholars must be submitted by December 1, 2016. Notification of award recipients will take place no later than February 2, 2017.